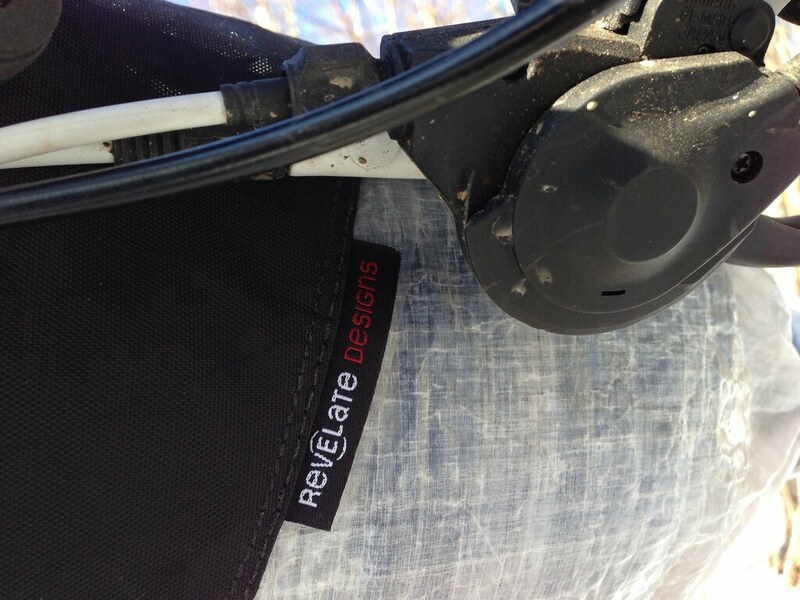 Want to win an ultralight handlebar bag from Revelate Designs? 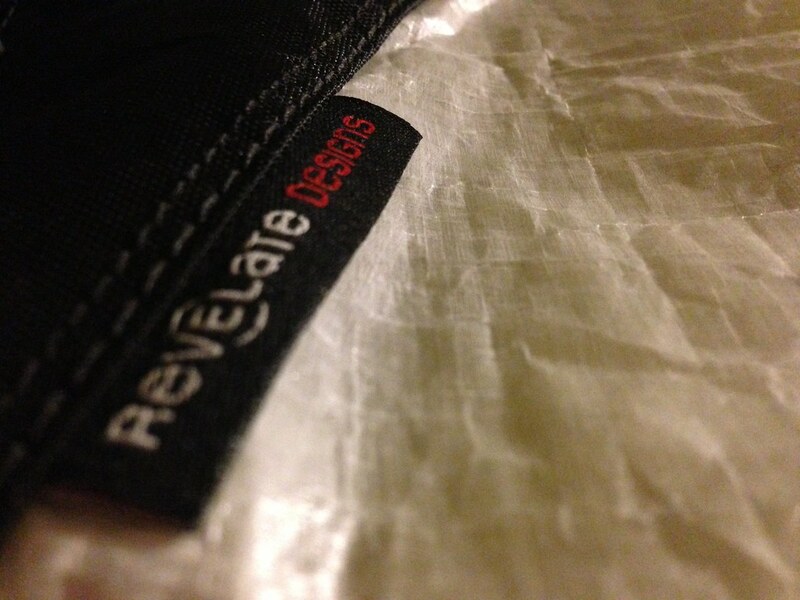 Eric from Revelate Designs sent me an ultralight handlebar bag to give away to one lucky Hiking in Finland reader. 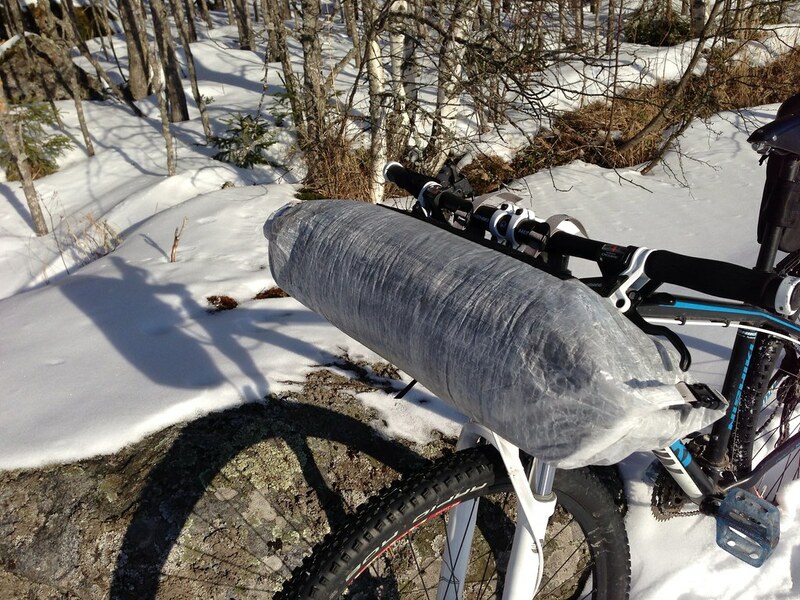 It’s a one-of-its-kind, made of cuben, taped and is waterproof, too - and weighs a swell 169 gram. 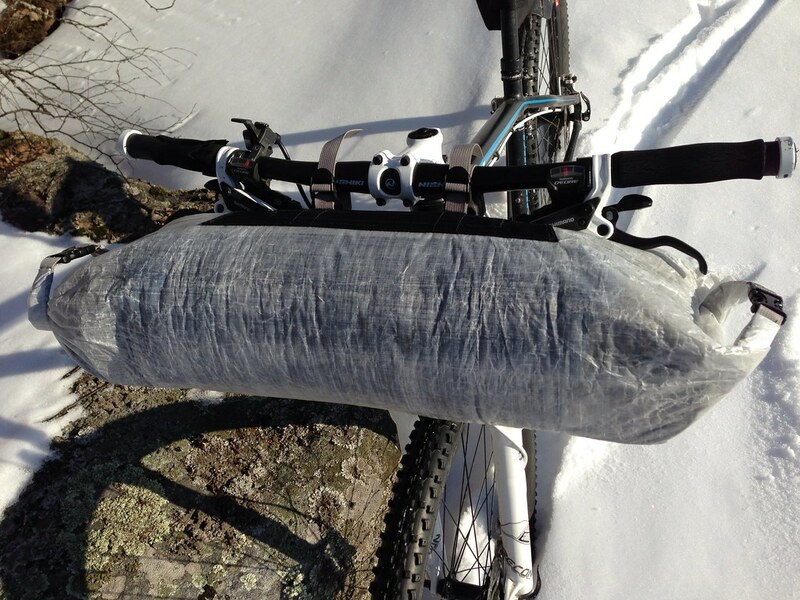 It fits any bike’s handlebars and offers plenty of storage - in the photos there’s a Katabatic Gear Sawatch quilt, a MSR Reactor 1.0 l stove & pot and a 230 g gas canister in it with room to spare. It is based on the Sweet Roll, but is a bit lighter and isn’t black. To win this sweet handlebar bag you need to write a Trip Report on your website/ blog/ or similar digital outlet, and leave a comment with a link to it underneath (Please only submit ONE link, to ONE trip report). It would be preferable that the trip report is from a recent trip (like, between now and the closing date - thus a superb reason to enjoy the outdoors!) and not a recycled 15 years old story (Though you can enter a trip report from 2013 =). It can be a day hike, overnighter, weekender, expedition or thru-hike, and should be by fair means (so on foot, skis, packraft or bicycle = non-motorized). It can be text, video, photographs or a combination thereof. Closing date is the 10th of April 2013. Then there will be a post in which Eric and I nominate the three to five trip reports we like best, and the readers will have the final vote for the winner. 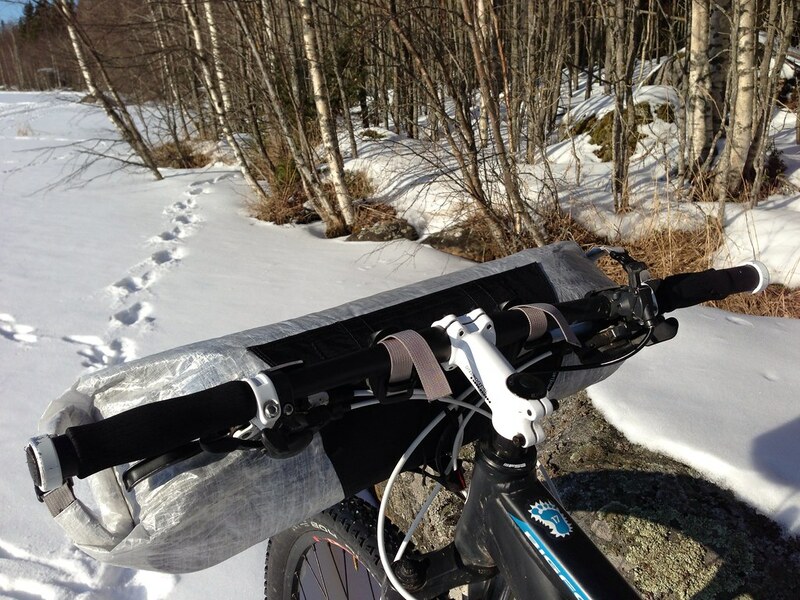 We are looking forward to read your trip reports, so get out there!